The E3-X is a direct replacement for traditional spinning disk hard drives. The result is a faster, lighter, more durable, and more reliable storage solution. In comparison to hard drives, the E3-X significantly improve system boot time, backup speeds, and software application loading. A suite of reliability and durability features such as 256=bit AES hardware encryption, wear leveling, ECC, TRIM, and S.M.A.R.T.further enhance data efficiency and increase the lifespan of the drive. 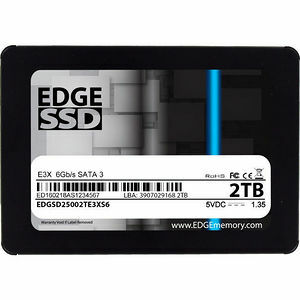 E3-X SSDs are TAA compliant and come backed by a 5-year warranty.